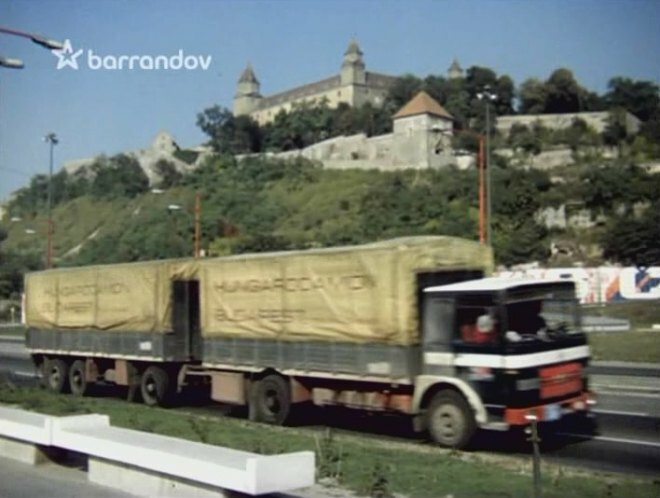 IMCDb.org: 1970 Rába 831 + Rába 571 trailer in "Ve znamení Merkura, 1978"
Possibly 831.03 to 831.23, but to confirm. EDIT: And here is the confirmation finally. The trailer is "Raba 571". Hungarocamion trailers of this type, were coupled in road sets with trucks "Raba 831" according to this interesting website.